Organizations expend time, money, and other resources on the involvement of volunteers, so it is clearly good management practice to evaluate whether the effort and expense have been worth it. Look to the resources below for help with theories behind methods of evaluation or practical tools for making the task a bit easier. The authors adapt the concepts of the “balanced scorecard” performance measurement tool (developed by Kaplan and Norton in the 1990s) to the needs and challenges of volunteer resources management, creating a unique Volunteer Resources Balanced Scorecard (VRBSc). 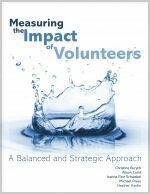 What results is a method for evaluating and planning a volunteer engagement strategy that aligns with the priorities and goals of the organization and the needs of its clients. 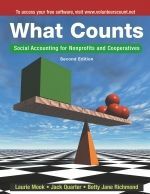 This book is for anyone seeking to analyze social capital and understand why traditional business accounting that focuses on money in and out is just not sufficient to value the nonprofit sector. What Counts is especially unique in adding the contribution of volunteers to the measurement of nonprofit resources. 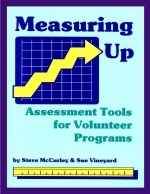 Nearly 70 timeless tools to help you evaluate volunteer involvement in your organization including the plans, volunteers, the organization, the people involved, and even yourself. 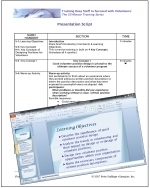 The Volunteer Program Evaluation Training Module identifies the steps needed to establish a volunteer program evaluation, explores four types of volunteer program evaluation, and identifies significant stakeholders who need the results of the evaluation.